Mike Blabac is known worldwide for his seriously solid photographic talent, exceptional eye and his quiet ability to remain humble and down-to-earth in almost any situation. Born in 1973 and hailing from Lansing, Michigan, Blabac first started skating when he was 12 years old, inspired by the photos he saw in skateboarding magazines such as Thrasher and TransWorld SKATEboarding. The young Blabac got his first camera, a used Nikon F3, at a swap meet in 1987. He started shooting pictures of his friends skateboarding around town and other kids at various skate events. Blabac continued to learn more about photography by working at a camera store as a teenager and assisting local photographers with printing and on shoots. At age 20, Blabac moved to San Francisco, which was the current epicenter of the skate scene during the early to mid-’90s, to hone his craft in the streets. In 1994 TransWorld Skate gave Blabac his first big break publishing a full-page photo he shot of Edward DeVera in the magazine. 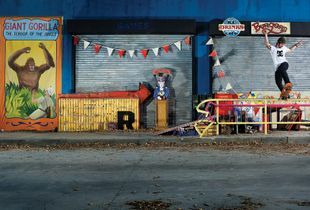 Blabac started working for the skateboarding company Madcircle that same year, and soon after many of his images were on the pages of the same magazines he had poured over as a kid. He later moved to Southern California, where he worked as a photographer for Girl Skateboard Company and Chocolate Skateboards. In 1999, Blabac joined DC Shoes, Inc., where he still works today as director of skateboarding photography, a job that has taken him around globe and allowed him to shoot some of the greatest skaters today, including Danny Way, Rob Dyrdek, and Josh Kalis. 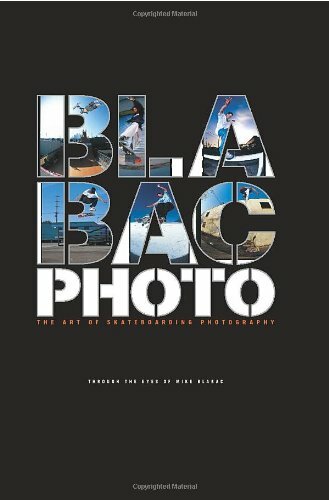 Blabac is now known as the go to guy to shoot anything that is action- from BMX, moto, to rally car racing and has built a strong reputation at being able to capture a poignant and moving portraits infused with his attention to detail and journalistic point of view.